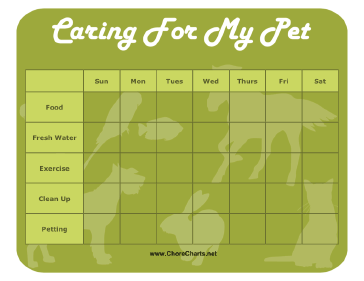 Children can learn responsibility as they track caring for their dog, cat, rabbit, bird or other pet. Has a week's worth of boxes to check off feeding, water, exercise, cleaning, petting and more. Or, change the chores in the premium .DOC version.